At the 2016 Geneva Motor Show, Volkswagen took the curtains off its new crossover SUV concept, Volkswagen T-Cross Breeze Concept 2016. The all new concept gets some features inside and out that make it stand distinct in the crossover segment of the company and thus we expect it to be a new saga, preparing to come. 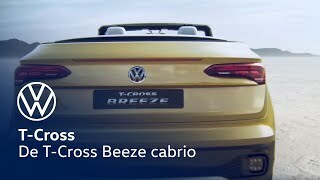 Let us have a look at the review of Volkswagen T-Cross Breeze Concept 2016 to know in detail about it. Just like most of the other concepts, interior of Volkswagen T-Cross Breeze Concept 2016 is a tremendous sneak into the wild imaginative world of a car lover. The Active info display for the all digital instrument cluster comes from the BUDD-e Concept while the seats carry the same pattern and style. The buttons get replaced by a new control system and this includes the commands for everything between the windows and roofs. Even the dash looks sleek and clean with neon colored stripe running through it. The same can be noticed over the panels, bottom spoke of steering wheel, instrument cluster, center console and stack. The color scheme is primarily a carry ahead of the exterior. 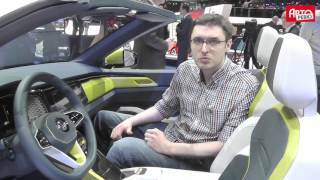 In all concluding the interior details of Volkswagen T-Cross Breeze Concept 2016 I would call it little futuristic, as in the tech part while the rest can be seen in the production version. 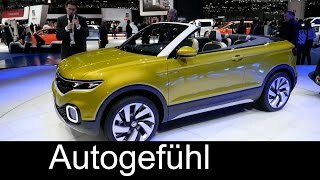 The exterior of Volkswagen T-Cross Breeze Concept 2016 carries little similarities with T-Cross and T-Roc concept we saw a couple of years ago. However let’s start with the front fascia where we have a wide radiator grille sitting amidst the narrow designed headlights. Beneath them is a bit refined bumper featuring a LED ring around the set of fog lamps. Moving towards the rear we have dominating crispy character lines running through the door handle till the taillights while the 19” aluminum alloy wheels adds yet another glory. Getting to the rear end, things are pretty simple with the set of taillights housed in the trunk lid. 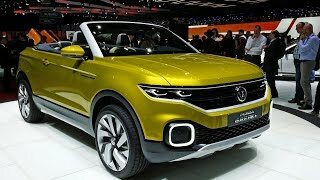 Thus rounding up the exterior details of Volkswagen T-Cross Breeze Concept 2016 I would call it something that we can definitely expect in the production version. Powering the Volkswagen T-Cross Breeze Concept 2016 is a 1.0 liter turbocharged and direct injection TSI gasoline engine generating total output of 109 hp and peak torque of 175 nm mating to seven-speed DSG dual-clutch automatic transmission. With this the top speed of Volkswagen T-Cross Breeze Concept 2016 touches the mark of 117 mph while the 0-62 mph sprint can be knocked in 10.3 seconds.